Caring for your family’s smiles should be an enjoyable experience. 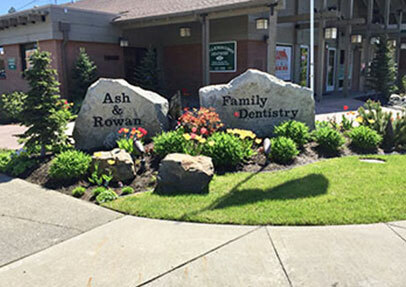 Ash & Rowan Family Dentistry is a fun, welcoming office where we care for each patient as an individual who’s entitled to the best oral support available. Dr. Ed Saffer and Dr. Jason Kolashinski combine their years of experience, as well as advanced techniques and technologies, for personalized dentistry. They and our team members will work with you to find the ideal treatment for your individual goals and presenting clinical concerns. Our office handles nearly all routine to complicated restoration and works closely with selected specialists in the area to ensure an excellent outcome. Once restoration is completed, our focus shifts to preventive care and patient education so that you are able to enjoy a lifetime of optimal oral health. Please contact our office to schedule an appointment for yourself or a loved one. 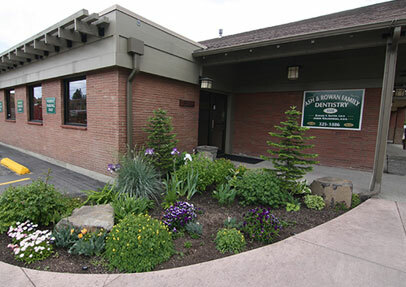 Ash & Rowan Family Dentistry is located on Spokane’s Northside at 5528 N Ash. Our phone number is (509) 325-1886. We serve all of the greater Spokane area in addition to the outlying communities of Cheney, Airway Heights, Deer Park, Elk, Spokane Valley, and Rockford. We think taking care of your family’s oral health should be a stress-free experience. 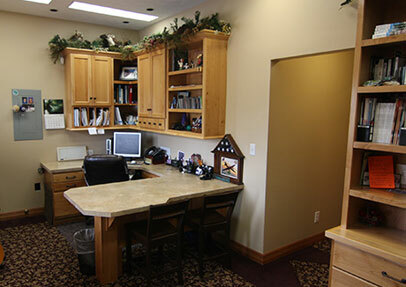 Our Spokane office is one of the few in the area that’s open on Fridays, making scheduling easy. Our front office team is here to assist you with paperwork, scheduling, financials, and whatever else you need to help visits go smoothly. 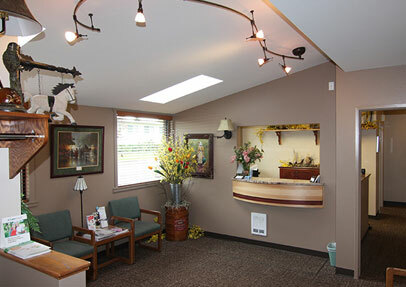 Our clinical team members are experienced, gentle, and always attentive to your comfort and desires. 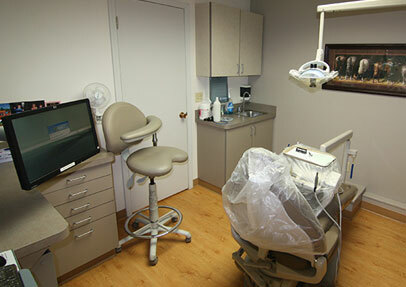 We gladly give second opinions for treatment options, have the only operating microscope for general dentistry in Spokane, and each dental bay has a computer chairside. “This is the place I picked for both my kids and they absolutely love it :) The assistants are super nice and so is the dentist!! Making appointments is really easy and they always remember who we are. ” - Caitlyn W.
“I highly recommend Ash and Rowan Family Dentistry! I have been a patient here for years. The staff are the best, and they show genuine care and concern and take the time to listen to patients.” - Theresa H.
“Always on time, friendly great dental care every time! I like and trust both dentists. Andrea, Jennifer, and all the staff are professional; exceptionally capable as well as fun!” - Wendy D.